This entry was posted on August 13, 2014 by PLADInc. 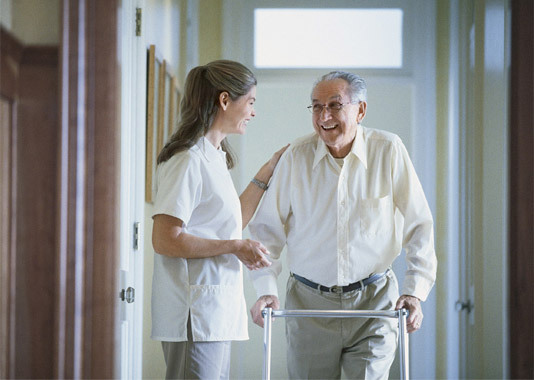 In 2006, the CDC published a study on safe lifting and movement of nursing home residents. The full study can be found on the CDC website by clicking HERE. This study is guide that is intended for nursing home owners, administrators, nurse managers, safety and health professionals, and workers who are interested in establishing a safe resident lifting program. Research conducted by the National Institute for Occupational Safety and Health (NIOSH), the Veterans’ Health Administration (VHA), and the University of Wisconsin-Milwaukee has shown that safe resident lifting programs that incorporate mechanical lifting equipment can protect workers from injury, reduce workers’ compensation costs, and improve the quality of care delivered to residents. This guide also presents a business case to show that the investment in lifting equipment and training can be recovered through reduced workers’ compensation expenses and costs associated with lost and restricted work days. One of the major issues in nursing homes is the frequent heavy lifting and re-positioning of residents that exceed the lifting capacity of most caregivers. Numerous studies have shown that training caregivers how to use proper body mechanics to lift residents is not an effective prevention measure because lifting the weight of adult patients is intrinsically unsafe. Because of the trend towards shorter hospital stays, residents who are being transferred to nursing homes are becoming increasingly frail. Factors that contribute to the difficulty of lifting and moving are a resident include the size and weight of the resident, combativeness, and propensity to fall or lose balance. In addition, performing resident transfers in the confines of small bathrooms and rooms cluttered with medical equipment and furniture works against the caregiver being able to use good body mechanics. When lifting or re-positioning a resident in bed, the bed generally prevents the caregiver from bending his/her knees to assume the proper posture for lifting. The forward bending required for many patient lifting and moving activities places the caregiver’s spine in its most vulnerable position. Even under ideal lifting conditions, the weight of any adult far exceeds the lifting capacity of most caregivers, 90 percent of whom are female. These conditions contributed to the 211,000 occupational injuries suffered by caregivers in 2003 (Bureau of Labor Statistics, 2003). Because of the rapidly expanding elderly population in the U.S., employment for nursing aides, orderlies, and attendants is projected to increase by 25% between 2002 and 2012, adding an estimated 343,000 jobs (Bureau of Labor Statistics,2004). Due to the ongoing demand for skilled care services, musculoskeletal injuries to the back, shoulder, and upper extremities of caregivers are expected to increase. How much will it cost to set up a safe resident lifting, handling, and movement program? A 100-bed facility can expect to spend $25,000 to $30,000 on portable (not ceiling-mounted) mechanical lifts depending on how many residents in your facility require the use of a lift. As a general rule, one full-body lift should be provided for approximately every eight to ten non-weight bearing residents and one stand-up lift should be provided for approximately every eight to ten partially-weight bearing residents. The average cost of a mechanical lift can vary from $3,000 to $6,000 per lift. The average cost for a ceiling-mounted lift is approximately $4,000 per room. An effective combination of both floor and ceiling lifts is generally accomplished with a $50,000 to $60,000 investment per 100 bed facility. Can a nursing home recover the cost of implementing a safe resident lifting, handling and movement program? Cost-benefit analyses demonstrate that the initial investment in lifting equipment and employee training can be recovered in two to three years through reductions in workers' compensation expenses (Collins et al., 2004; Tiesman et al., 2003; Nelson et al., 2003 Garg,1999). How effective is mechanical lifting equipment in preventing injuries to caregivers? Safe resident lifting programs can be highly effective in reducing a health care worker’s exposure to heavy loads and awkward working postures that contribute to back and other musculoskeletal injuries. Research has shown that safe resident lifting programs reduce resident-handling workers’ compensation injury rates by 61%, lost workday injury rates by 66%, restricted workdays by 38%, and the number of workers suffering from repeat injuries (Collins et al., 2004). Similar findings have been re­ported by other investigators (Tiesman et al., 2003; Nelson et al., 2003; Garg, 1999). Further­ more, this research has shown an increase in caregiver job satisfaction, and a decrease in “unsafe” patient handling practices performed. Nurses ranked lifting equipment as the most important element in a safe lifting program (Nelson et al., 2003). 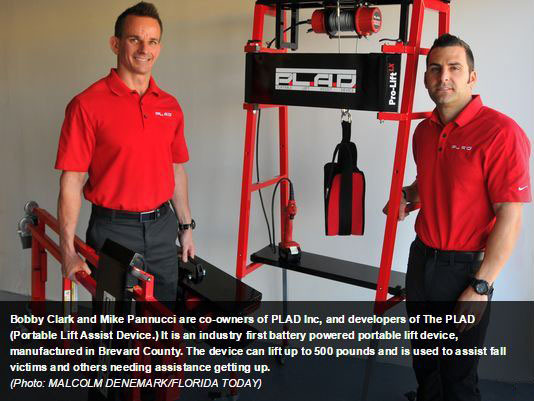 The increase in bariatric residents has also led lifting equipment manufacturers to develop equipment with higher lifting capacities to accommodate the special needs of some bariatric residents. What benefits will a safe resident lifting program have for nursing home residents? Although some residents may be reluctant to try new lifting devices, studies have shown that the use of mechanical lifting equipment increases a resident’s comfort and feelings of security when compared to manual methods (Zhuang et al.,2000; Garg and Owen 1992). The findings from one study indicated that residents’ acceptance of a safe lifting program was moderate when the program was first implemented but high at the end of the research study (Nelson et al.,2003). Injuries to residents are also reduced because the mechanical lifts protect residents from being dropped. Anecdotal information indicates that a reduction in skin tears and bruises may result when residents are handled mechanically rather than manually (Garg,1999).